Japan is preparing to be the first Asian host nation in 2019, with all eyes on Kanagawa as it plays host to the final and semi-finals. 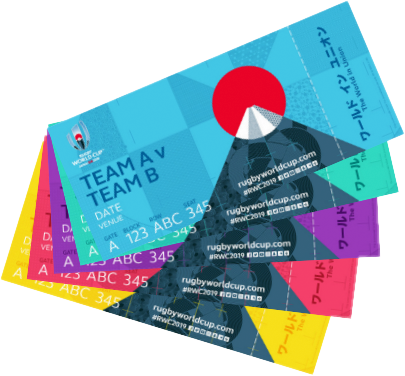 Tokyo Day Trip provides everything you need to know about the rugby matches, the stadium, getting tickets and the best sightseeing spots to enjoy on your Kanagawa trip. Tickets not sold during the global ballot period will go on general sale from 19 January in the new year. 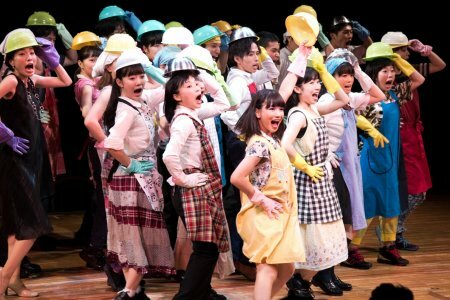 This will be on a first-come, first-served basis, with tickets for many of the finals in Kanagawa likely facing huge demand. Discover the best of Kanagawa during your stay – make the most of your time between rugby matches to discover Yokohama, Hakone and Kamakura. Me-byo is a word used to describe the appearance of some symptoms before one falls ill. This facility helps you with the symptoms associated with the Mibyo state which are common for modern day people. This is done through tasting the blessings of natural food, getting your body into a good condition by exercising and relaxing your 5 senses through healing. There are plenty of activities that children and adults can enjoy such as a forest therapy walk through the rich woods, workshops and more. This is an open-air museum which relocated then displayed precious old private houses that date from the late 17th century to the 18th century. You can learn about the lives of the people that lived around 200 years ago through the fun exhibitions and material. 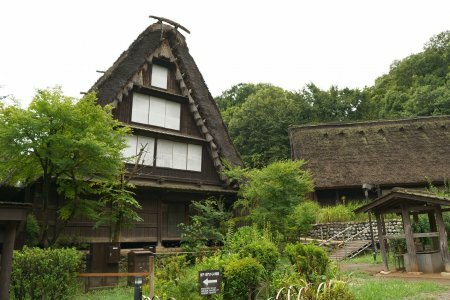 These materials and exhibitions include ones such as a house of farmers with a large hay-thatched roof, a water wheel used for rice milling, and the Kabuki stage that was enjoyed by villagers. Workshops with activities such as traditional indigo dyeing are also popular. The building has been restored. The mansion is where Shigeru Yoshida (1878 -1967) lived when he was Prime Minister. The famous architect Goshiki Yoshida designed the magnificent main building which was built in the Japanese Sukiya-zukuri style. The building is made from the timber of the Japanese cypress, giving it a tea room atmosphere. The Japanese garden has been designed by the world-famous garden artist Ken Nakajima and is rich in color. You can enjoy the beauty of the site every season. 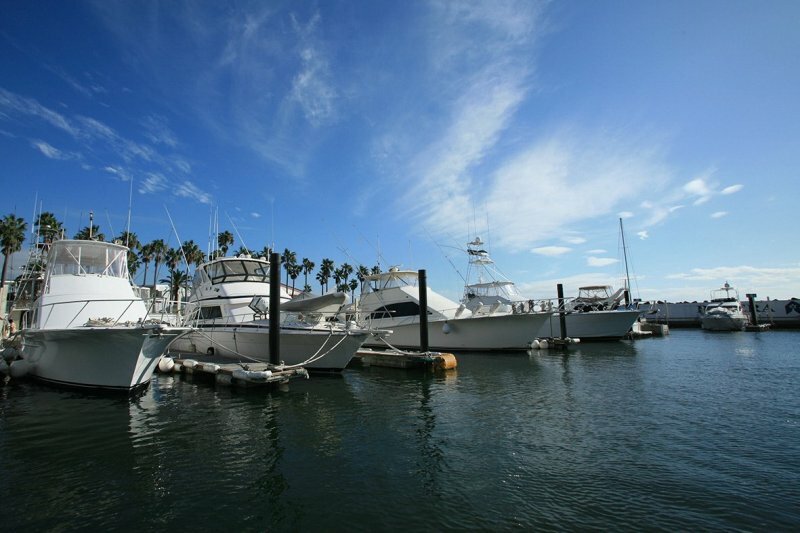 It is a facility where you can enjoy activities using yachts and small ships. As well as cruising, there are also experiences such as parent-child sea kayaking, workshops with two-seater yachts and tours of fishing events. With a variety of experiences available, you can select the one most suited to your tastes. You can also have lunch and dinner before and after activities since restaurants and cafés are located in the facility. Noge, home to Yokohama's top downtown area known as Isezaki Town, is a city which is important in the history of Yokohama. This famous city has about 500 restaurants such as Izakaya within a radius of 250 meters. The street performances are also famous. A street festival is held every autumn. There is also a shop specializing in street performances. You may find some performers practicing in the park. The area where there is a "red brick warehouse", a remnant from when the port of Yokohama was opened at the beginning of the mid 19th century, is called "Minato Mirai". 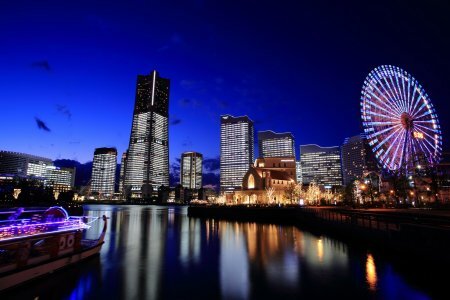 There are sites at Minato Mirai such as an amusement park, a large shopping mall and a restaurants area where you can enjoy a wide variety of dishes, including Japanese dishes. Here you have many experiences to choose from. Many limited time events around the "Red Brick Warehouse" are held, which are also popular among repeaters. In addition, many large cruise ships come from all over the world to the adjacent Osanbashi Yokohama International Passenger Terminal. 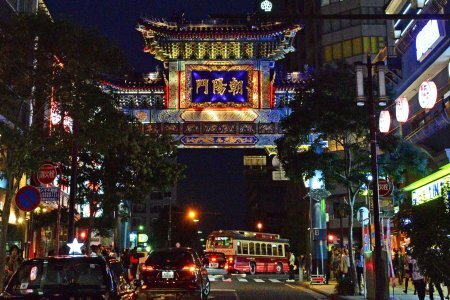 Yokohama Chinatown is said to be the largest in Southeast Asia, not to mention Japan. There are 620 shops in the area of about 0.2 square kilometers, with more than 200 of those shops specializing in Chinese cuisine. The long lines in front of the famous meat and sweet stores are also famous. It is packed with places of interest other than food, such as "10 Paifang/Pailou", meaning archway in English, which has been built based on Feng Shui thought. 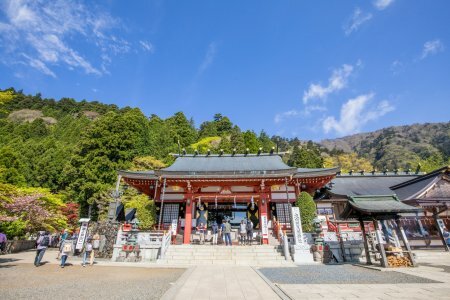 There is also "Kanteibyo" which enshrines the famous military commander Guan Yu, and "Masobyo" which worships the goddess of navigational safety. 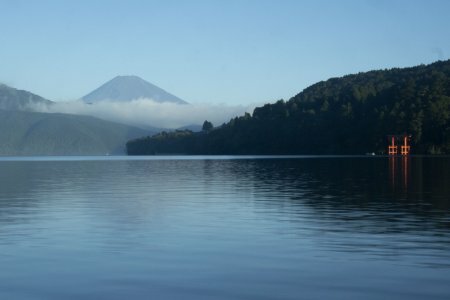 Lake Ashinoko was created about 3000 years ago and is a must-see spot in Hakone. There are various ways to enjoy Ashinoko such as walking along the lake and an avenue of Japanese cedar trees and enjoying the delicate flavors of the cuisine while admiring the scenery. We recommend the Lake Ashinoko tour cruise. Mt. Fuji and a red Torii gate, which can be seen from the cruise, are the best spots to take photos. 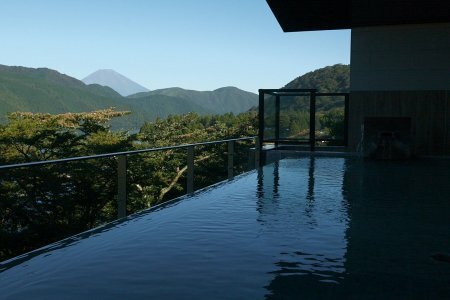 Known for the "17 hot springs of Hakone", Hakone is one of Japan's leading hot spring regions with 17 hot springs. There is a surprisingly large variety of springs with different qualities. These include simple hot springs and saltwater hot springs, with 20 types in total. There are also footbaths, bathing facilities (which can be used without booking accommodation), special hot spring facilities in which you can wear swimsuits, secret hot springs surrounded by nature and more. 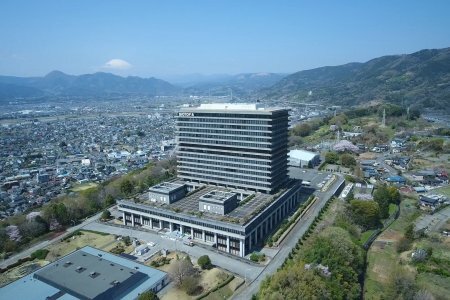 If you find your favorite onsen, this will make your trip much more fun. The 1252m high Mt.Ōyama is a beautiful pyramid-shaped mountain. It has been worshiped as a holy mountain from ancient times. "Ōyama-Mairi" (Mairi referring to the visiting of a religious site) was prevalent from the 18th to the 19th centuries, and it is said that 200,000 people visited per a year when the population of Edo was one million people. Ōyama-dera and Ōyama Afuri Shrine, which are located halfway up the mountain, are also famous for beautiful autumn leaves. Enoshima has been drawn in many ukiyoe as a scenic sightseeing spot since the Edo period. 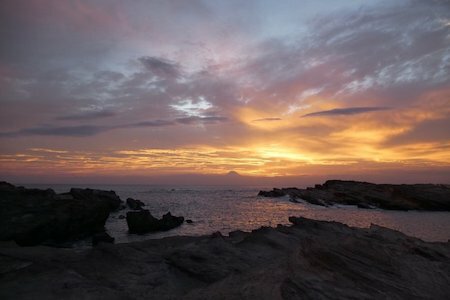 Sites such as Enoshima Shrine, Enoshima Sea Candle and Enoshima Iwaya Cave are surrounded by nature. 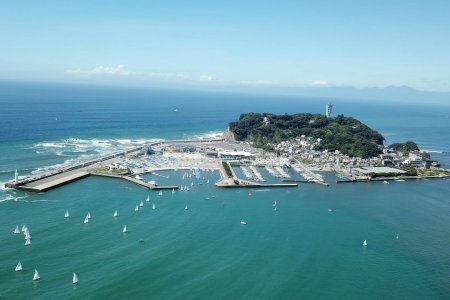 Enoshima Yacht Harbor was developed as a sailing stadium for yachting for the Tokyo Olympic Games in 1964 and will be the sailing competition venue of the Tokyo Olympic Games again in 2020. It is considered a pioneer of the public yacht harbor world, and in addition to the World Cup sailing competition, it holds numerous yacht races. Sightseeing in Enoshima, a scenic area where you can see Mt. Fuji and where you can enjoy the good facilities with a relaxing sea breeze, will surely remain in your memories. Fujisawa City Tourism Association / Enoshima Electric Railway Co.,Ltd. Enoshima is famous for fresh and tasty seafood, retro-modern style cafes, and above all, the open landscapes with a harmony between the sky and the sea. Enoden is recommended as a method for transport to Enoshima. 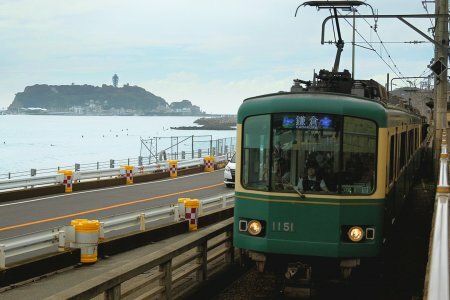 A tram that connects Kamakura Station with Fujisawa Station has more than 100 years of history and runs slowly through the beautiful coastline and the city, offering an exceptional view from the train window. It is loved by both locals and tourists. On the southern tip of the Miura Peninsula, the largest natural island in Kanagawa Prefecture, there are many spots where you can connect with nature. From the cormorant observation deck you can view the Japanese cormorant between winter and spring. Hiking around the Jogashima Lighthouse, where it is possible to view Izu Ōshima and Mt. Fuji on a sunny day, is also popular. You can also enjoy seasonal dishes such as the famous tuna dishes. 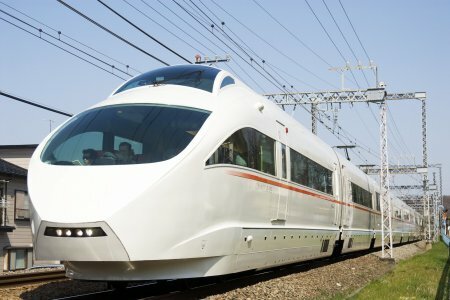 Odakyu Romancecar connects the popular tourist destinations of Odawara and Hakone in Kanagawa to Shinjuku in Tokyo. It is a popular express train because you can enjoy the scenery and relax during your ride. The observation deck seats at the front of the train are very popular. You will be able to experience the excitement of watching the spectacular scenery fly by, making you feel as if you are the driver. ※Some trains do not have these seats. 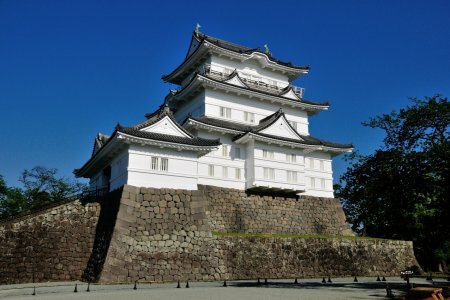 This is the castle of the Hōjō clan who governed all of Kanto for about 100 years from the end of the 15th century. Various events are held at the castle ruins park around the reconstructed castle tower. The event named after the ninja group, Fuma (who served the Hōjō clan), is popular. The lively event has a ninja costume experience and a shuriken experience. Ninja facilities will also open in the castle ruins park next April. Kamakura, where Japanese culture still resides alongside nature, is also famous as the birthplace of the Kamakura Shogunate (1185-1333). It was during this period that the samurai held the most power. 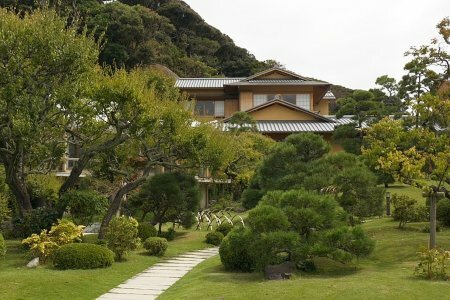 Through the Samurai Project, Samurai culture can be experienced at the Zen temple of Kigenin (Kamakura), which is usually not open to the general public. 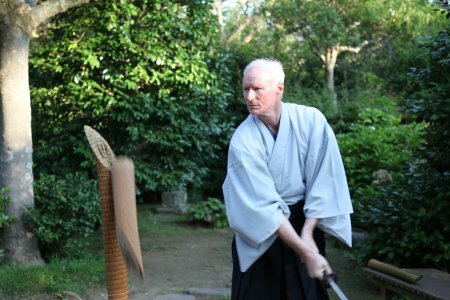 There are various programs, such as zazen and Iaigiri. This historical temple enshrines the Kamakura Great Buddha as its principal image. A famous poet of the 19th century wrote about the Buddha statue of this temple, describing it as "a beautiful man". The handsome Buddha statue is about 11.3 m in height and weighs about 121 tons. 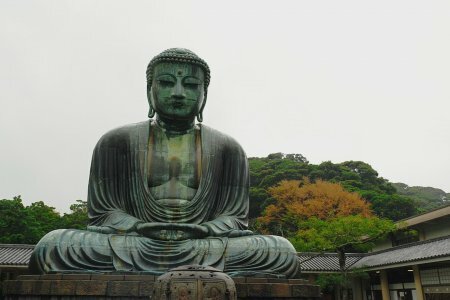 It is also famous for being a great "open-air" Buddha. It still has an air of dignity from the time in which it (the 13th century). It is also of great importance in Buddhist artistic history and it is designated as a National Treasure. KAAT, which opened in 2011, is a creative performing arts theater which revolves around the themes of "making three things", "making things", "making a person" and "creating a town". There are various stages such as the hall with the latest equipment and both large and small studios. Performances of various genres such as plays, musicals, dances, classical dramas, and art circuses are held here. The prefecture attracts people with the charm of cultural arts, striving to make the area more lively. This kind of promotion is known as Magnet Culture, or Magcal for short. 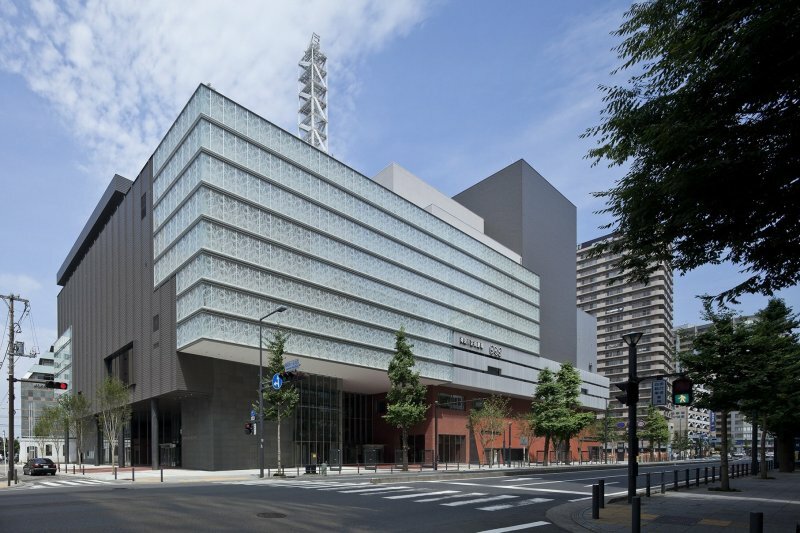 With the 2020 Tokyo Olympic and Paralympic Games as an opportunity, Magcal is promoting the cultural programs of Kanagawa in cooperation with municipalities and related organizations. 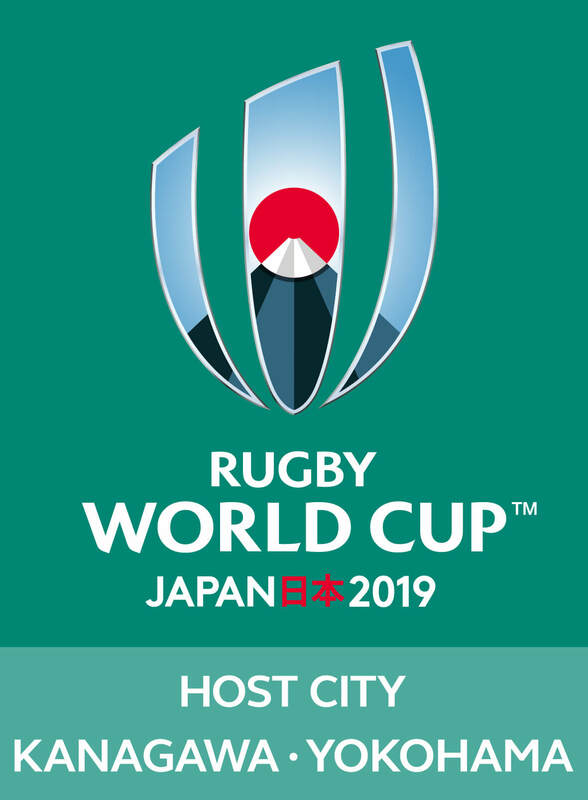 International Stadium Yokohama welcomes rugby fans to enjoy some standout group fixtures (with New Zealand, South Africa, Ireland, England and Japan all set to face-off here) as well as the Semi-Finals and Final tournament game. All eyes will be on Yokohama as the tournament draws to a climax. 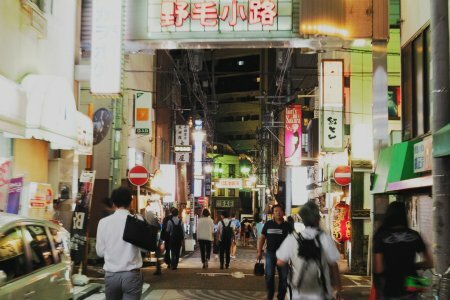 Find out all information you need on things to do in Yokohama such as bars, restaurants and more!